The MTN BOX®: Spektrum Series SM features a steel recessed frame on the bottom perimeter of the case. This steel frame reinforces the Spektrum Series SM’s strength, and helps by displacing the weight of your case contents. 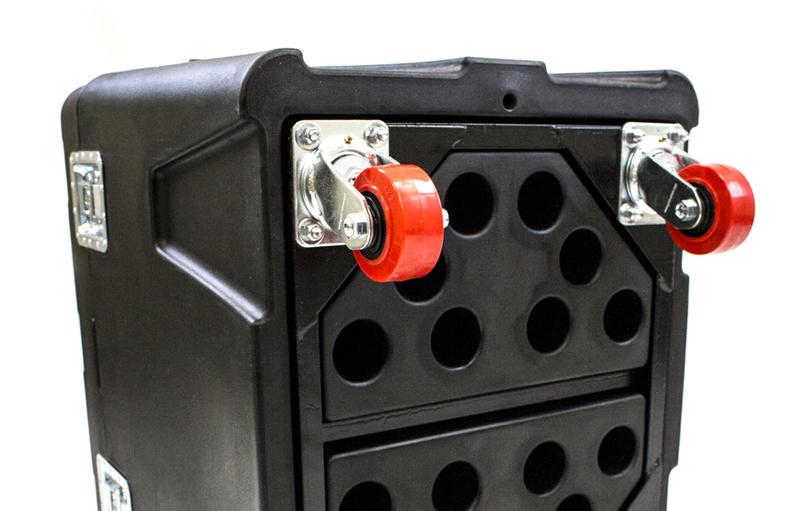 By allowing the entire case to absorb the weight of your equipment, the MTN BOX® is able to transport and protect the most valuable (and heavy) equipment.